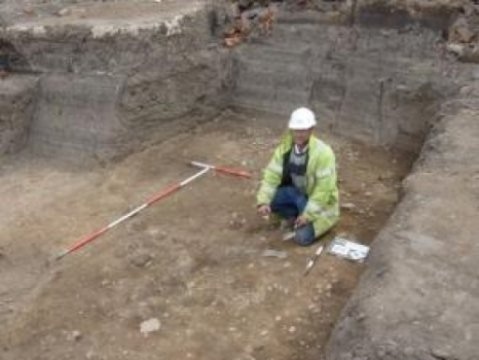 Archaeologists dig deep and find jawbones, soup spoons, a curse??? Yes, that is exactly what archaeologist Richard Buckley of the University of Leicester in England found, after excavating an important Roman settlement from about three hundred AD. In addition to locating the lost medieval churches of St. Peter and St. Michael, complete with more than sixteen hundred gravesites, Buckley unearthed an ancient curse. Written on a thin lead tablet, it said: ‘To the god Maglus I give the wrongdoer who stole the cloak of Servandus. Destroy him before the ninth day.” What’s interesting to archaelogists is that Roman curse tablets are thought to be written by and about ordinary people. This particular tablet lists eighteen suspects. Names reflect origin, so this allows scientists to piece together the cultural makeup of the population. It can also shed light on the spread of Latin and the religious practices of commoners. As to who stole the darn cloak, on that, science is mysteriously mum. Curse you, archaeologist! May the handle fall off your tiny shovel thingy before the ninth day! Very gently.